Rides, Food, Music & More! Bigger and more exciting than 2018, this year we have loads of activities, great food, live music, a silent auction and much more! A wonderful community event for all ages that will help raise funds for our music department. We have a fantastic line up of rides and amusements for all ages. Find the perfect gift from student created and professional stalls. Enjoy multicultural cuisine, sweet treats or relax with a barista coffee. Bid on an exciting range of items including original art and pamper packs. Your opportunity to win one of two weekend Audi drive experiences with overnight accommodation at Stones of the Yarra Valley. 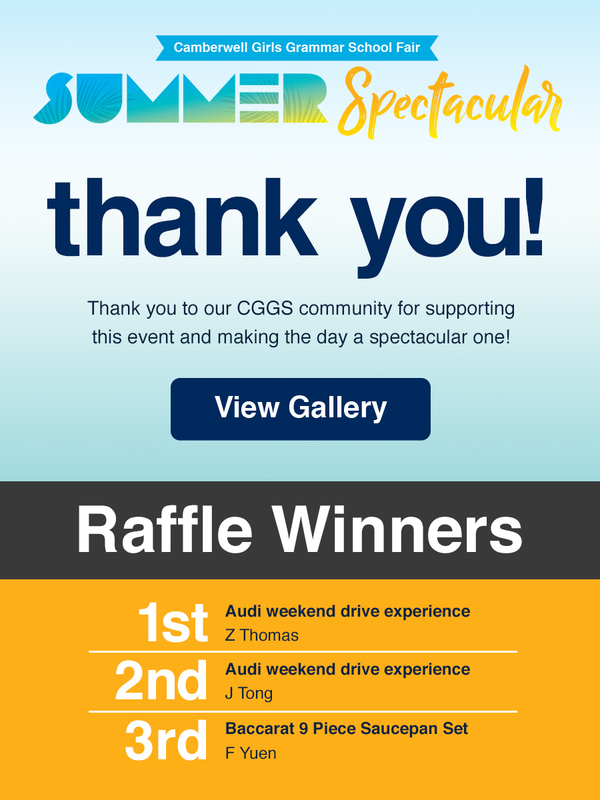 View our sponsors who are proudly supporting the 2019 Summer Spectacular event and CGGS. A wonderful community event for all ages. Our event map will help you find something spectacular!